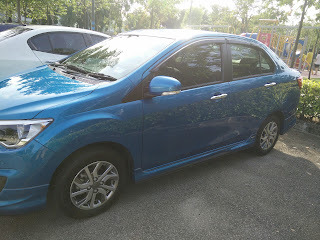 I had the privilege to drive Perodua Bezza for last week for five days. 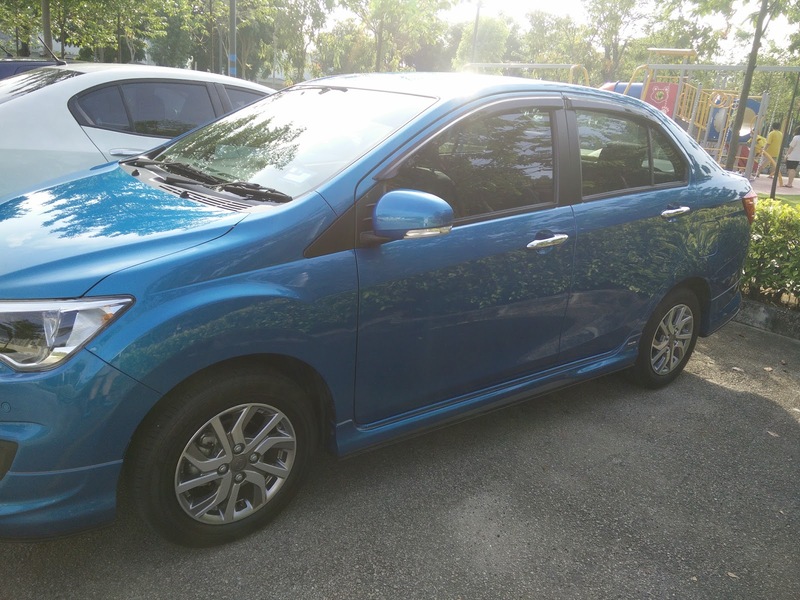 I had not read much about the car prior to using it so had used it without any expectation. I am impressed with the experience. The one I used was of the highest range which cost RM 50k. I was initially uncomfortable with the keyless feature. I was afraid of dropping it or misplacing it but got used to it after one day. One thing I missed was the lack of auto lock. All cars I have driven since the introduction of central locking has that feature. To make up for the lack of feature, the remote control will only unlock the driver door by default, you can open all the doors if you press the remote longer. The idle stop is an interesting feature, when the feature is enabled, pressing the brake (and holding it down), the engine will be turned off when the car is fully stationary. It will stay off up to three minutes if the driver continue to apply the brake. However, if you are like me and prefer to take your leg off the brake and place the car on neutral, you will not get the benefit of this feature. Fuel consumption was great, when I drove it, it was able to provide an average of 13.5 km per liter versus 8.2 km liter for my Innova. The Bluetooth car kit is great, it was relatively easy to pair my smartphone with the car. After pairing, it, I could play my podcast on the car stereo, perform hands free phone calls and use the navigation system. The navigation system seems primitive, it did not show the traffic condition view (or maybe I did not know how to use it). The sound was loud and there was no option to control the volume. Each time we activated the navigation, we had to agree to some warning before we could proceed. There is a shortcut key to the navigation. However, to exit, it was necessary to click on the setting and select exit - going to another screen will only let it continue in the background. The touch screen is not very sensitive and is sometimes frustrating to use. The car was spacious, plenty of space for the passengers at the back and plenty of room in the trunk. The seats have leather like covers. There were also some features like Vehicle Stability Control which I did not test. It has sensors both in the front and in the back (rear sensor is common but the front sensor is new). I liked the rear camera, with its placing, it was easier to use - helpful when I perform reverse parking.